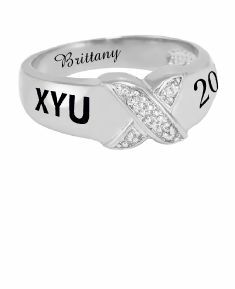 Capture your school memories in this Chevron style class ring. 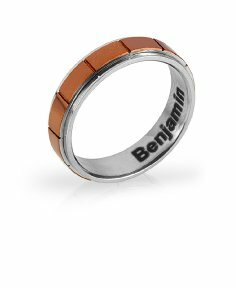 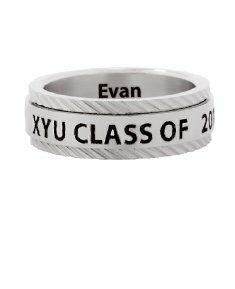 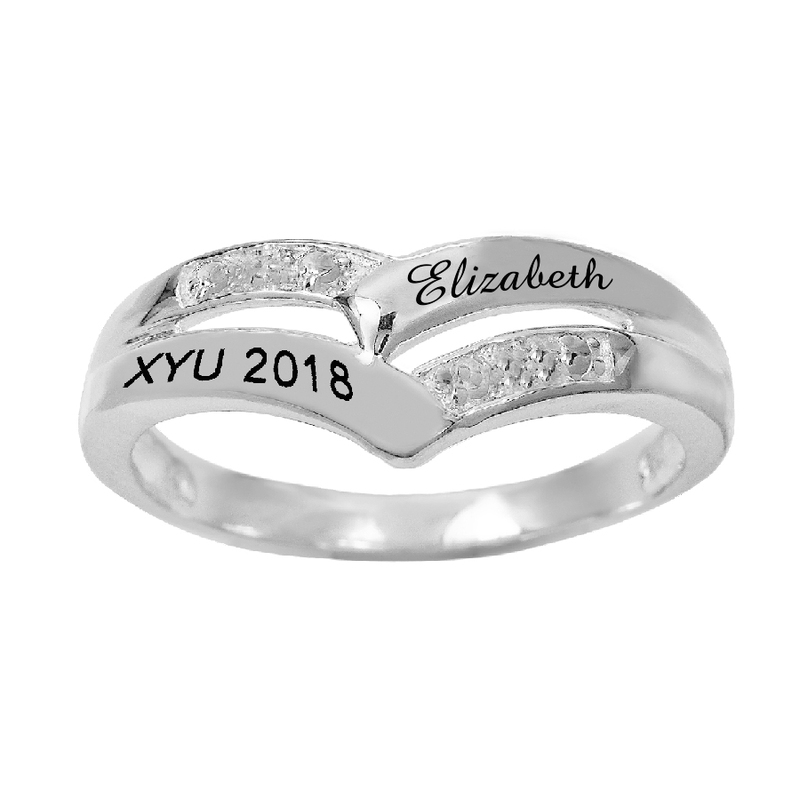 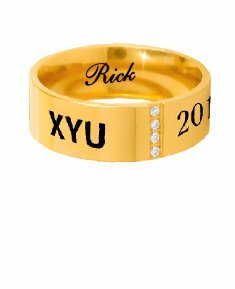 This class ring can be personalized to represent the school (up to 4 characters) and year (4 characters) on the bottom left side and name (10 characters) on the top right. 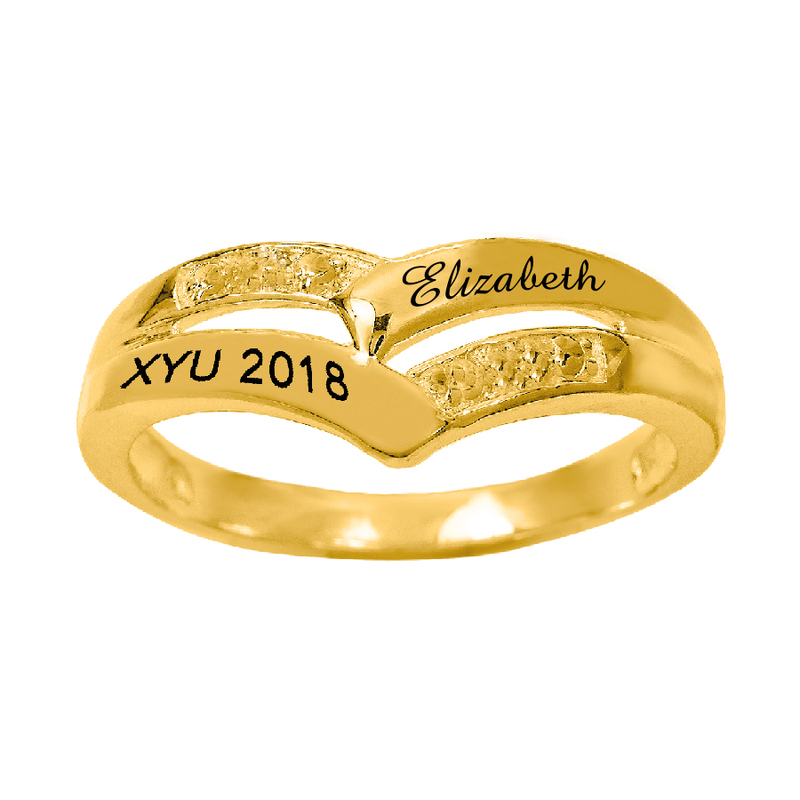 Available in Sterling Silver and 14K Gold over Sterling Silver.